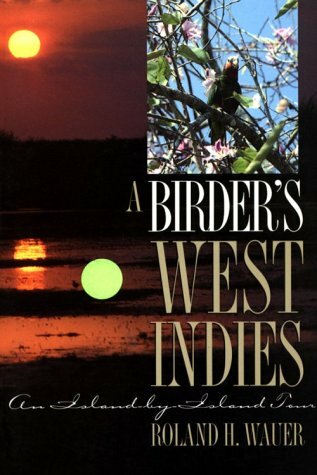 In A Birder's West Indies , Roland Wauer takes you on an island-by-island journey of discovery. He describes the unique natural features of each island and recounts his often fascinating experiences in seeking out the nearly 400 species of birds known in the West Indies. His accounts give insight into the birds' habitats, status, and ecology and record some of the threats posed by human activities. For readers planning trips to the West Indies, Wauer also includes helpful, up-to-date facts about the best times to travel, the kinds of entry and customs systems to expect, the money exchange services available, and general information about weather, food, and accommodations. Filling a unique niche among current guides, A Birder's West Indies offers both professional ornithologists and avocational bird watchers a chance to compare notes and experiences with an expert observer. And for readers who haven't yet visited the islands, Wauer's fluid prose and lovely color photographs will be the next-best thing to being there—and an irresistible invitation to go.